The Farm is a relaxed, warm, gathering place for weddings, receptions, corporate team building, family celebrations and romantic getaways. Nestled in the Blue Ridge Mountains, The Farm is just outside of vibrant and artistic Asheville, NC. Originally a family farm, it has grown into a unique, flexible and award winning full-service events venue. The Event Center is a chameleon of sorts – equally suited for an elegant wedding as it is for a southern BBQ. Come saunter along the drive, rock on the porch and enjoy the peace and beauty of our farm as the sun sets behind the mountains. Afterwards, you’ll understand why we call The Farm – A Gathering Place. There is no such thing as a “standard wedding” here at The Farm; each couple has their personality and their weddings reflect that perfectly. Our licensed Wedding Coordinators and a stable of trusted local vendors will help you bring your vision to life. Our facilities are versatile and accommodating, designed to encompass the change of seasons ensuring stunning weddings that embrace the picturesque Blue Ridge mountains. The beautifully manicured property offers an Indoor/Outdoor Event Center with a wrap-around porch, a romantic gazebo and unique Chef’s Table perfect for rehearsal dinners and wedding brunches. The Farm is a top destination spot for weddings, reunions, team-building and getaway vacations. It is easy to get to, but feels far away – like your own private retreat. The Farm’s meticulously maintained property, unparalleled service, innovative menus, comfortable lodging and attention to detail will ensure your event is memorable. The Farm Kitchen’s farm-to-table philosophy sets our venue apart. Chef Mike Ferrari’s artisanal catering sets the bar for banquet and reception cuisine. Mike crafts custom menus featuring innovative dishes inspired by the freshest ingredients available each season. Whether a family-style meal for 250 or a corporate dinner for 20, we are confident your guests will find the meal unforgettable. The Farm Cabins and Cottages provide a romantic and cozy home base to experience all Asheville has to offer. During the day, explore the Blue Ridge mountains, the Biltmore House, local breweries and cideries and poke around our vibrant downtown. Then return to your charmingly rustic cabin or cottage to relax after a day of adventure. The cabins on property were amazing and luxurious and the property itself is welcoming, warm, and magical. One of my favorite places! The best place in Asheville to have any event and definitely the BEST place to get married. Its such a beautiful place and the staff is amazing! The Farm, from the charming cabins and cottages, to the beautiful event barn and the breathtaking property was the perfect venue to make our dream wedding a reality. We are honored that our brides have nominated us for the fourth straight year. 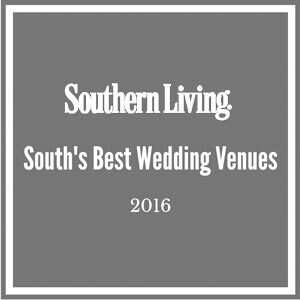 In 2017 this puts us in good company with the top 2% of wedding vendors in North and South Carolina.